“The Equator Man“, “Rooftop Prince” and “The King 2 Hearts“, the 3 dramas from 3 major South Korean TV stations welcomed the grand final on the same night on May 24th, 2012. The audience ratings of “Rooftop Prince” rose 2% from previous episode, defeating “The Equator Man” to become the ratings champion. 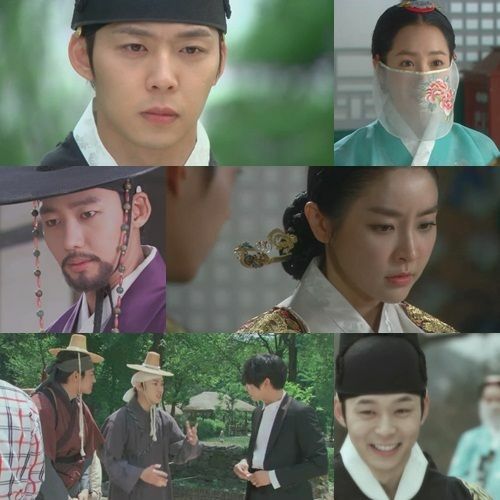 According to the statistics released by AGB Nielson Media Research company, “Rooftop Prince” recorded the national average rating of 14.8% for its final episode aired on May 24th, 2012, ranking at first place among all three Wednesday and Thursday drama. 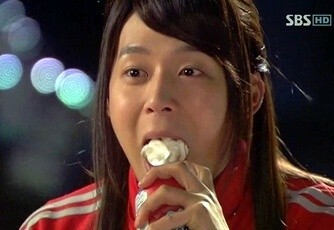 “Rooftop Prince”, “The Equator Man” and “The King 2 Hearts” debuted on the same day, and ended on the same day. The competition between the 3 dramas have been extremely intense. Every drama once ascended the throne of ratings champion, and once ranked bottom on the ratings chart. Halfway into the broadcast, “The Equator Man” had been ranking comfortably as the ratings champion, but the viewership rating for grand finale of “Rooftop Prince” is extremely strong, beating “The Equator Man”, triggered a popular discussion. Equator man ending the evening of 24 record ratings of 14.1 percent, came in second place ratings, Lee Seung Gi, Ha Ji-won’s “the king 2 hearts” is based on the viewing rate of 11.8% row in the last one, had a brilliant record in broadcasting when the ratings feel into the shade.